All of our CLEAN3 System Cleanroom Walls are self-supporting and composed of phenolic resin. Further, our wall panels include an interior aluminum framework and sealed exterior framework. Additionally, an aluminum floor track works to level and support the wall system. An aluminum “H” profile maintains precise panel-to-panel connections which creates uniformity and strong seams. Further, silicone fills the panel seams and as a result, the wall system remains intact and durable for years. 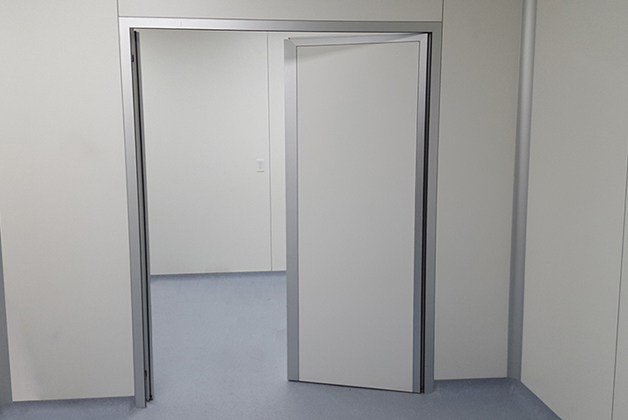 Our Cleanroom Walls are very resistant to standard cleaning and sanitizing agents normally found in the Pharmaceutical industry. Finally, we offer three insulation options: Polystyrene (for noise), Rock Wool (for increased thermo-barrier and fire resistance) or corrugated aluminum.